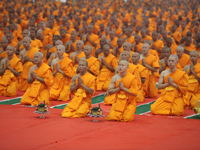 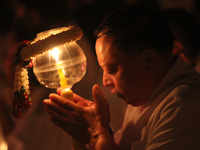 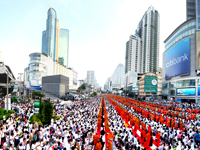 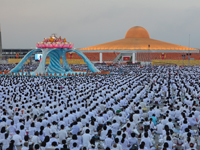 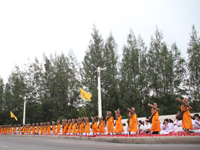 CNN PRODUCER NOTE Amy072 had the opportunity to photograph the start of Buddhist Lent in Saraburi province, Thailand. 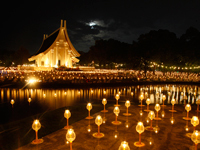 Buddhist Lent, otherwise known as Khao Phansa in Thai, takes place for three lunar cycles and it is a time where monks stay in the temples and meditate intensely, she says. 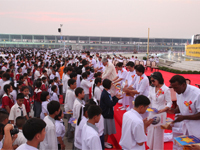 She says a highlight of the event is seeing people offer flowers as alms. 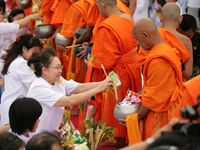 Alms Offering for Buddhist Monks before Buddhist Lent.